If you’re someone who regularly uses foundation, then you know your biggest enemies are summer heat and monsoon humidity. Most parts of India get sweltering hot during summer and receive high levels of rainfall during monsoon, so if your foundation is to survive through all that, it has to be waterproof! Nobody wants to leave the house with a full face of makeup and reach their destination with more than half of it melted away. 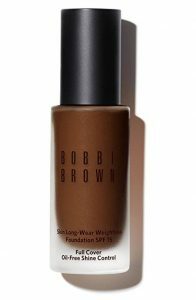 Brands such as Bobbi Brown, L’Oreal, Maybelline, and many more all offer waterproof foundations so it can be quite difficult to choose the right one, but this article will guide you through the process of selecting the perfect waterproof foundation for your needs. 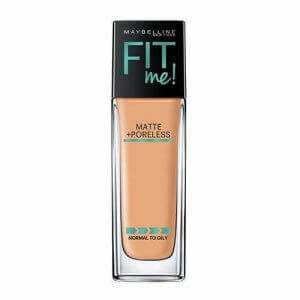 We will also include a list of top 10 best waterproof foundations you can buy online in India to make it easier for you to get your hands on one without having to waste any time at the market. There are various types of waterproof foundations, each with their own benefits. Here’s what you should keep in mind when buying a waterproof foundation online. Waterproof foundations come in three types of formulations, liquid, cream, and powder. One of the most important things you need to do while selecting a foundation is to choose a formulation which suits your skin type. Liquid foundations are the most popular ones as they are relatively lightweight and take less time to blend, which makes them easier to apply. They also stay on the skin much better and last for quite long. Moreover, liquid foundations are extremely waterproof but do not look too cakey. They can achieve both a dewy finish as well as a matte finish, therefore they usually work for almost all skin types. Cream foundations are best known for their heavy coverage and staying power. They work really well for achieving a matte finish, and they do not budge even with lots of sweat or water. They tend to be quite heavily moisturising, so they are more suitable for dry or normal skin types. They are not recommended for oily skin types as they may clog pores and look too cakey. Powder foundations work well for those who prefer lighter makeup, as well as those who do not want to spend a lot of time applying it. 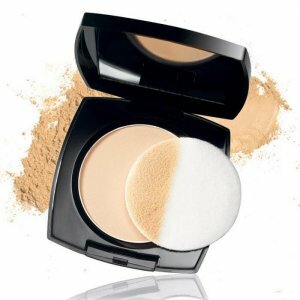 It is much easier to achieve the more natural, “no-makeup” makeup look with powder foundations. They are also a great choice for people with oily skin as they allow the skin to breathe more than other formulations. They’re not great for those who prefer high coverage makeup though, and they are not as waterproof as the other two types. 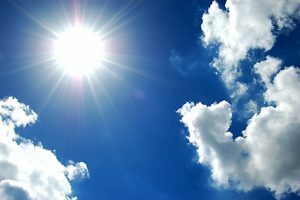 Some of us may be interested in the SPF as well, in order to better protect our skin against the harmful UV rays. While most foundations offer at least some amount of SPF, there are still some without any SPF content, so be sure to check that if you’re particular about protection from UV rays. If you’re someone who spends a lot of time in the sun, then it would be better for you to choose a foundation which is at least SPF 10. If you’re usually indoors, then a foundation with no SPF at all will also work for you. Make sure you use sunscreen in both cases though, to properly protect your skin. Waterproof foundations prevent your skin tone from looking uneven, even if you’re sweating or in contact with water. Just as with any other foundation, you must pay attention to the shade of the foundation as well. This is especially important in a country like India as we have so many different complexions. One of the best ways to do this is to not just look at the colour, but also matching the undertones with your skin. Let us now dive into our top 10 picks for the best waterproof foundations you can buy online in India. We hope this will help you choose the right one for your specific needs. If you have sensitive skin or you need a waterproof foundation you can use-on-the-go for a matte finish, this is the best one for you! 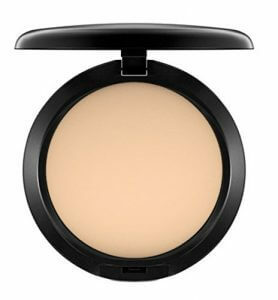 The only powder foundation on the list, it is finely milled, extremely matte, and gives light coverage. There are 36 shades, so no matter what your skin tone and undertone is, you’ll probably find a match. 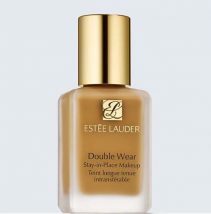 Although, like most other waterproof foundations, this foundation only works for oily and combination skin, and is not great for those with dry skin. Furthermore, since this is a powder type foundation, it only lasts for about 3-4 hours, and it is also really flat, so you might need to contour properly after using this. You don’t have to break the bank to buy this foundation, and yet it still offers buildable medium coverage with a satin finish. It is perfect for those with normal to oily skin who are looking for a foundation that won’t budge when they’re out clubbing. There are 19 shades available, so you should no troubles finding the perfect shade for you. However, it is not suitable for those who are looking for a foundation to last them all-day as even with a setting powder this won’t last for more 5 hours. As with many other waterproof formulations, this does not work well for dry skin and makes it look patchy. This foundation is great for those with normal to oily skin who enjoy light to medium coverage. It is paraben-free and sulphate-free, so it works well for people with sensitive skin. There are 20 shades available, so it is also pretty inclusive, and it lasts for almost 7-8 hours with a primer and setting powder. 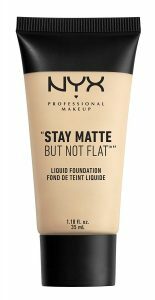 On the downside though, it is an expensive product but it does not provide full coverage, and it takes a lot of effort to build it up to even medium coverage. It is also not suitable for those with dry skin as despite the name, it is not very hydrating, and it doesn’t work well for those with large pores either. For all those with oily to really oily skin, who need a foundation to keep them properly matte, this is the best option! It is not too expensive, really easy to blend, and lasts for almost 6-7 hours even on hot, humid days! Although it is ideal for medium coverage, the formula is lightweight and buildable, so you can make it full coverage too. It is not recommended for those with normal to dry skin though, as it will make emphasise the dry patches on the skin and end up looking cakey. It’s also ranked much lower because not only is the shade range limited with only 10 shades, it skips quite a lot of in-between shades, and it is hard to guess what the shade is really like. This full coverage foundation is perfect for mature and acne-prone skin, especially since it covers dark, textured spots too. There are 7 shades available, and it lasts for almost 8 to 9 hours with a translucent powder. Even though it seems expensive initially, you only need a tiny bit to cover your whole face, so it lasts for 4 to 6 months. However, it can be difficult to apply initially because if you use too much of the product, it can make you look cakey, therefore it is not suitable for those who prefer lightweight formulas. It is also not the best choice for those with dry skin because this foundation is not moisturising enough for them. If you’re not a fan of full coverage foundations and want a waterproof foundation to give you the dewy, “your skin but better” finish, then this is the best one for you! It blends easily and lasts for 10 to 12 hours on normal to oily skin even during hot summer months. It also comes in 30 different shades, so you will definitely find a match. 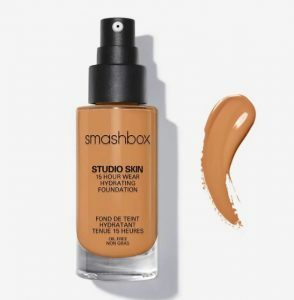 The only reason this foundation didn’t make it to a higher rank is its hefty price tag, therefore if you’re just a beginner and do not want to spend too much on a foundation, we would recommend getting one of the other options on this list. 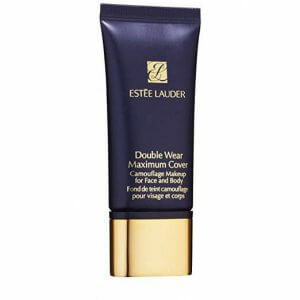 Additionally, since this foundation is oil-free, it does not work well for those with dry skin. Not many waterproof foundations can provide full coverage without looking cakey on dry skin, but this one manages to do that effortlessly! If you’ve got normal to dry skin and want a blendable, medium to full coverage foundation, you should consider getting this one. It comes in 10 shades and lasts for 6 to 8 hours even in summer. The biggest drawback to this foundation is that it oxidises on some people, so if it does not suit you and oxidises on you, it will end up making you look dull and washed out. It is also not the best option for oily skin types as the formulation is quite heavy, so it can end up looking cakey and clogging your pores. One of the best waterproof foundations on the market, it is also really affordable, so if you’re on a budget, this is the one for you! 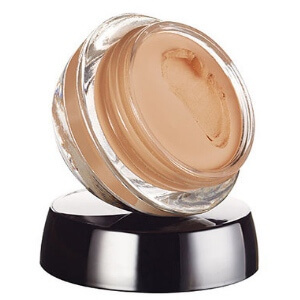 It works well for oily to combination skin, and is very buildable, offering light to medium coverage. It is great for those who prefer a natural-looking matte finish as it does not look or feel heavy. It is easy to apply, which makes it a great choice for makeup newbies as well, and it comes in 14 different shades, so you should most likely be able to find a shade to fit your skin tone and undertone. Even without a setting spray, it lasts for about 5 to 6 hours on summer days and wears beautifully through the day. This is the foundation you need if you’re looking for a lightweight formula with SPF 10 to give you full coverage and last more than 13 hours! It works for almost all skin types; including dry, oily, and mature skin, and there are 15 shades available, so you should most likely be able to find your shade. It is also easy to blend, so even if you are a beginner, you won’t end up looking patchy. Although it is better to use a setting spray to extend its longevity, even without it, the foundation will not budge once it is on. It does not transfer or rub off either, so you needn’t worry even if you’re constantly touching your face. 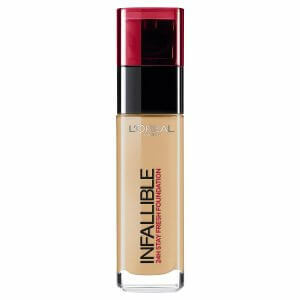 The best foundation on this list, it has a lightweight formula with SPF 15 and is really blendable and buildable. 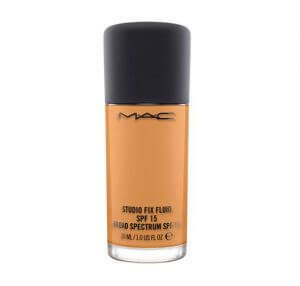 This is the perfect product for those looking for a medium to full coverage foundation that lasts for 7 to 9 hours. It does not budge under any weather condition, so whether it is sunny or rainy, you can use it without any worries. It suits all skin types, so regardless of whether your skin is oily, dry, or sensitive, you can use this foundation to achieve a matte look. It also has an incredible shade range, with 30 different shades, so everyone should be able to find a shade to suit their complexion and undertone. There are few things as sad as coming home and realising your foundation has melted away and left your skin looking patchy. However, with waterproof foundations, you do not have to worry about such problems even during summer and monsoon months. 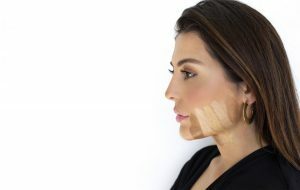 We hope this article has helped you understand all the points you must keep in mind when buying a waterproof foundation, and you were able to find a foundation to suit your needs from our list of recommended products.